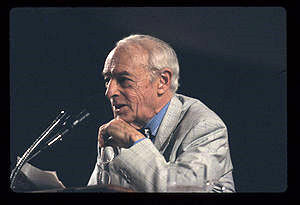 The launch of the Saul Bellow Centenary celebration will take place with a dinner program at the Cliff Dwellers, 200 South Michigan Avenue, on Friday evening, February 27, beginning at 5:30 pm. I will moderate a panel discussing Bellow’s life and work that includes the writers Don Evans and Dina Elenbogen. There will be some readings from Bellow’s work, as well as an open forum for audience members to share their Bellow stories. The culminating event for the Bellow Centenary will be on the author’s 100th birthday on the evening of June 10, at the Cindy Pritzker Auditorium of the Harold Washington Library, and author Scott Turow will be the featured speaker. If you are interested in attending the February 27 event, please make your reservations at reservations@cliff-chicago.org. The cost of the event, which includes the program, light appetizers and dinner, is $40 per person.